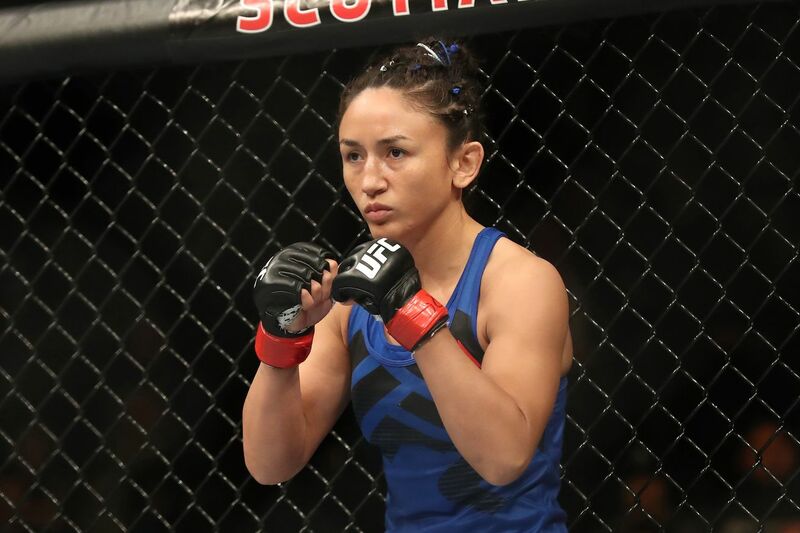 Former Ultimate Fighting Championship (UFC) women’s strawweight titleholder Carla Esparza will return to the Octagon on June 25 when she takes on Maryna Moroz at UFC Fight Night 112 in Oklahoma City. UFC officials confirmed the bout earlier this week after ESPN’s Brett Okamoto made the initial report. Esparza, 29, is coming off a crushing split-decision loss to Randa Markos at UFC Fight Night 105 back in February. The former divisional champion has gone just 1-1 since losing her title to current queen Joanna Jedrzejczyk back at UFC 185. Esparza still offers a lot as a top title contender and will try to right the ship heading into the dog days of 2017. Moroz, 25, has produced a 3-1 record since entering the promotion back in 2015, but had the worst performance of her career in a split-decision win over Danielle Taylor at UFC Fight Night 92 last August. She’ll need to show up and push “Cookie Monster” to the limit if she wishes to regain her once promising divisional momentum. Stick with Mania as more UFC Fight Night 112 news is revealed.